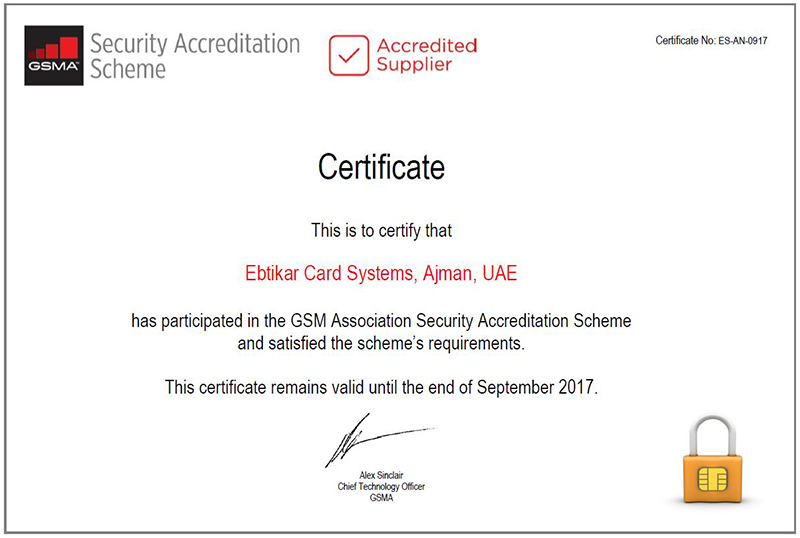 Ebtikar Card Systems is a major provider of smart card solutions in the UAE. Established in 1996 to fulfil the growing demand for card and application needs, Ebtikar today offers telecommunication operators and organisations worldwide solutions to deliver air-time and value-added services. Ebtikar's services include OS development, standalone applications, SIM management and solutions and the manufacturing of a wide variety of SIM cards, scratch cards and memory cards. In its endeavour to innovate, Ebtikar constantly develops new products and services such as the eco-friendly SIM card - the LiM SIM (Less is More), and the Micro SIM card - first introduced in the Middle Eastern region by Ebtikar. The company's ever expanding customer base now includes leading UAE projects as well as global businesses spread across the Middle East, Africa and Asia. To be the trusted enabler of Telco for secured solutions. We strive to provide and enable our global clients with secured customer centric products and value added services. Equipped with profound professional experience, Ebtikar's offerings range from the manufacturing of a wide variety of SIM and other related cards to software development of applications and SIM related solutions.